I have before me, waiting to be reviewed, your newest masterpiece (and, I do not use that word lightly), The Best Cook in the World. 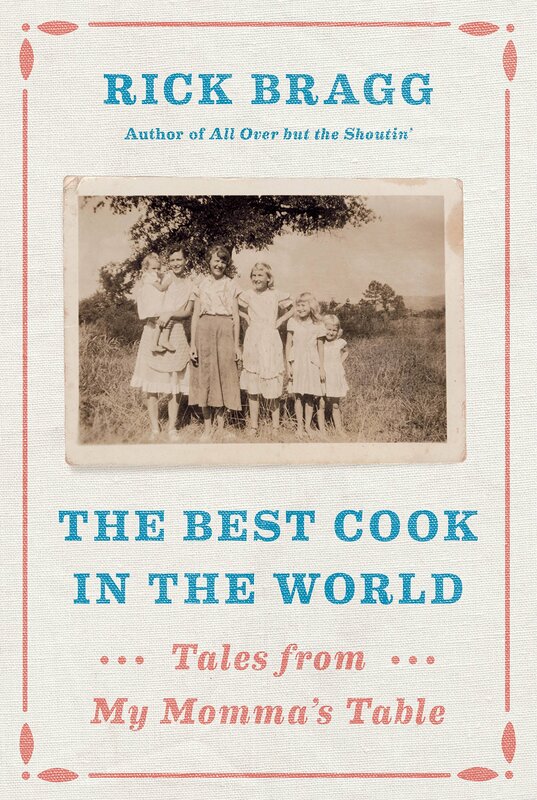 Subtitled “Tales from My Momma’s Table,” it extolls the virtues of Miss Margaret’s cooking and, most especially, the lessons you learned from her. I’ve wandered through the book and it seems to be up to your usual high standard—more on this later. You are wrong, however. Even your mother admitted that early on when you suggested this cookbook. She said that her sister, your Aunt Edna, was a much better cook, and that was still just on the road where she lived. The best cook in the world was my grandma, Jenny Eulaura Farley Hall (1888-1974). Miss Jenny was legendary in our small Southern town. Although she and her husband were farmers, she made ends meet in the 30s and 40s by renting rooms to unmarried women teachers, many of whom remained family friends for the rest of their lives as they married and settled into small town life. Miss Jenny attended a different church so we never knew who she might bring home for the noonday meal. There might be an extra couple or ten people added to the six who were always around the table. The table always had two or three meats, piles of vegetables, tomatoes, and a couple of kinds of pickles. She made everything. I still eat on that table every day. High school classmates vied to receive an invitation to come home for dinner with us. There is no record of anyone ever refusing an invitation to eat at our house. My great aunt across the highway even preferred the water that came from our well. But I’ll let those stories pass, for I know from the body of your work and the many times I’ve heard you speak that you cherished your momma and that you have wisely spent a career and a life thanking her in some of the most elegant, honest, and uplifting prose imaginable. Some might call it folksy, implying a negative connotation. Clearly, however, you are just having a conversation with your readers, sitting in the shade on the front porch swapping stories and remembering who you are and honoring those who came before. Even the wildest tales you tell are underpinned by love. As I read the opening chapter, I was home again, a boy who came into the kitchen where the fireplace blazed and the woodstove simmered with wood we had cut by hand, while the electric stove sat on one side out of the way, to be used only in the direst emergency. 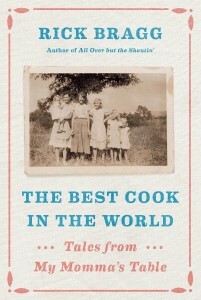 Your prose recalls the stories that surrounded the food your momma grew up learning to cook. (I almost used the word “mother,” but realized that never would fit, just as “dinner” and “lunch” and “supper” mean different things. When we went back home before everyone died away, we always had to remember that dinner was in the middle of the day and lunch was for people from away.) She cooked from knowledge that sprang from who she was, a woman who believed that food should taste of the past and conjure memories. She never used a cookbook because her knowledge was always at the tip of her fingers as she touched, observed, and smelled the ingredients. She was cooking “farm-to-table” long before that became a culinary catchphrase. I especially like the structure of this appreciation. Each chapter is a discussion of some food or food and what goes best with it. For example, the chapter titled “Clementine” speaks to fried chicken, fried chicken gravy, and fresh green beans with golden potatoes. The cooking and eating provide a spur for a rumination of how the chicken is prepared from feeding to killing, plucking, and cutting it up. One had to be ready to eat when the fried chicken was put onto the table for “to let such a blessing get cold…would be an abomination akin to spitting in church… or interrupting an old person in mid-story.” The ensuing stories make one’s head shake in amazement and wonder. That’s the thing about your writing. You have exactly the right story, told the right way for each situation. These stories are funny, heart-warming, and filled with humanity. Of course, there are recipes for real biscuits, wild plum pie, ham and redeye gravy, spareribs stewed in butter beans, and many more. My favorite was the last one, “The Recipe That Never Was,” for quick fried apple pies. That’s one my mother-in-law, a great Southern cook in her own right, made, and we ate as soon as it came out of the pan. So, Rick, I thank you for this book and a trip down a shared memory lane. It is beautifully written, the recipes are glorious, and the characters revealed in fully dimensional lives. But, my grandma was still the best.